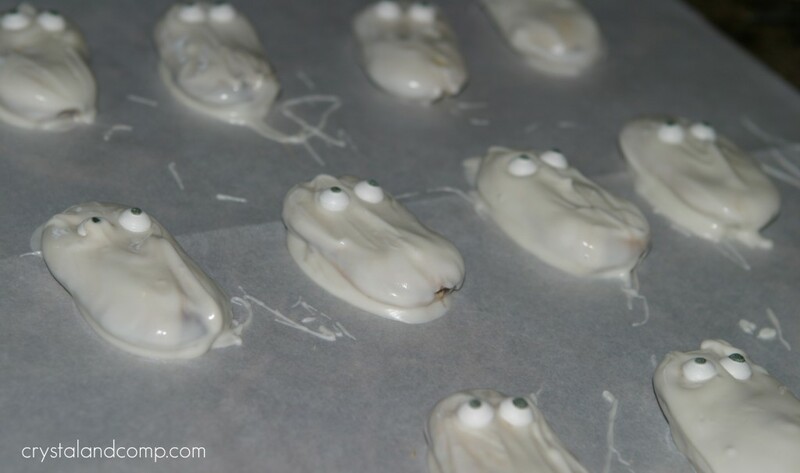 These cookies are so much fun and they are really easy to make. 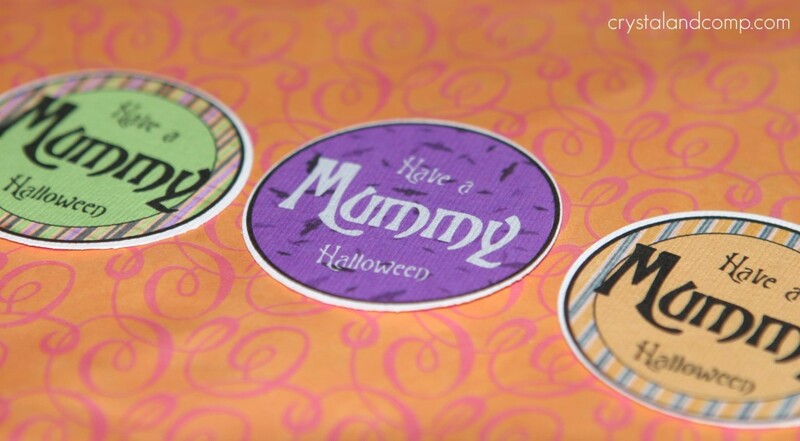 And to go with that, I have a free Halloween printable to go with them. 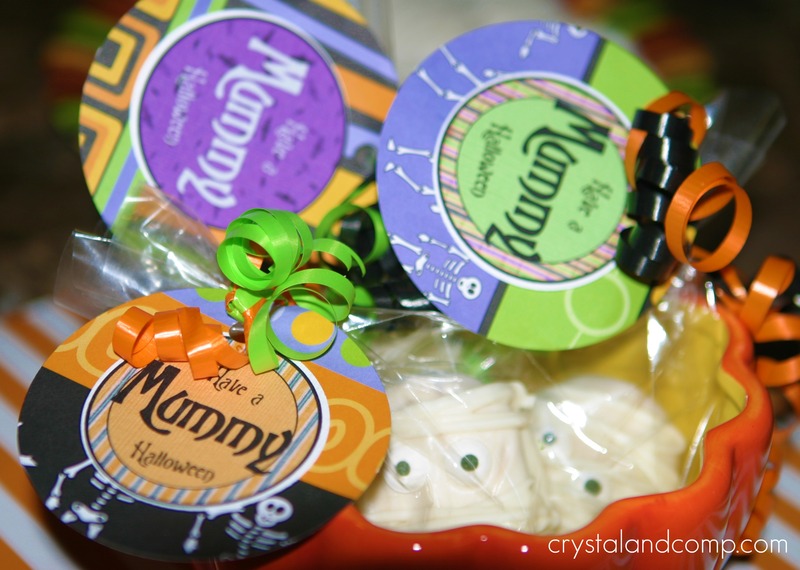 Another perfect goody to pass out as treats in your little one’s class. 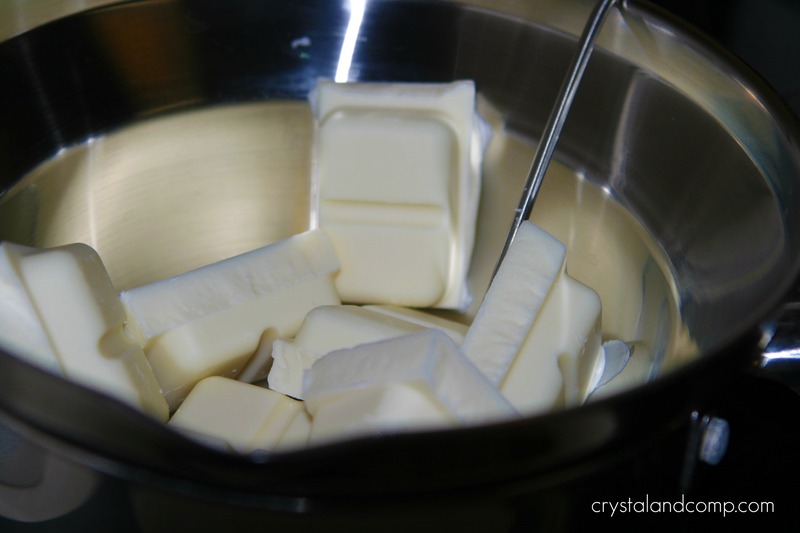 Melt your chocolate in a double boiler. Dunk and coat your Milano cookies in the chocolate. Be quick, the chocolate filling will start melting. Perfection is not important. 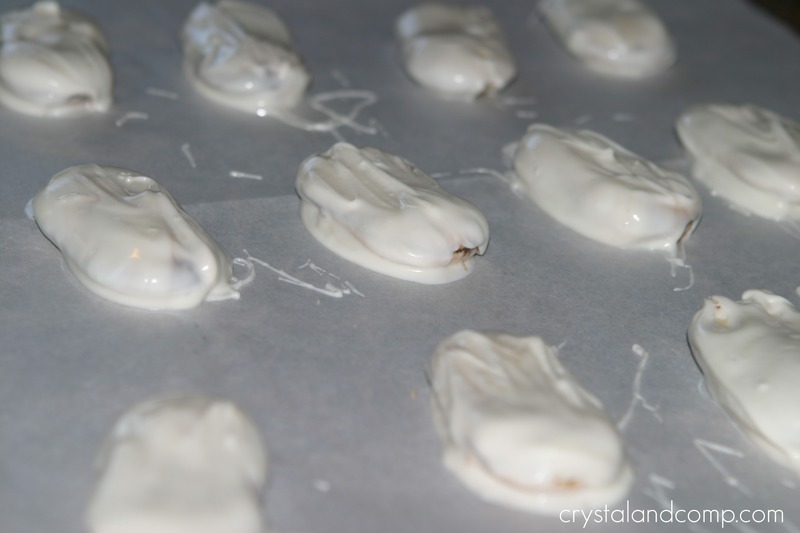 Place them on a parchment paper covered cookie sheet. 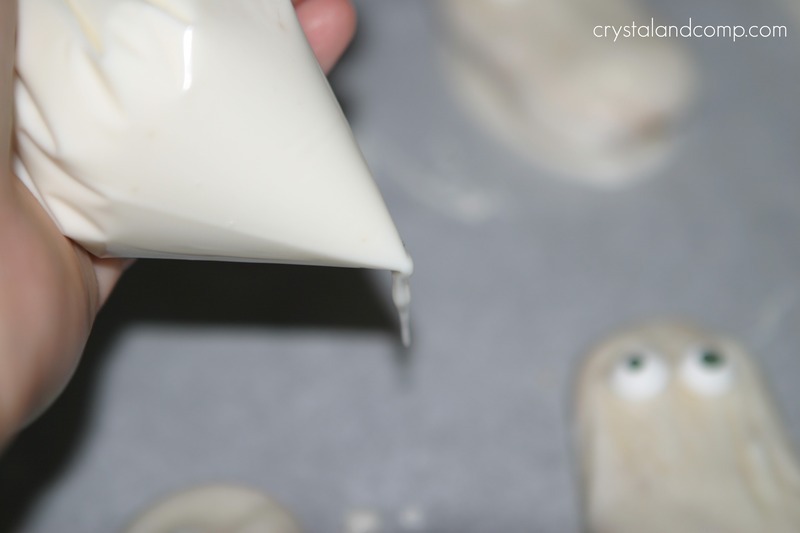 They do not have to be perfectly smooth. If the chocolate is not sticking where you were holding the cookie while dipping, just smooth it over with your finger to fill in the chocolate. Make sense? 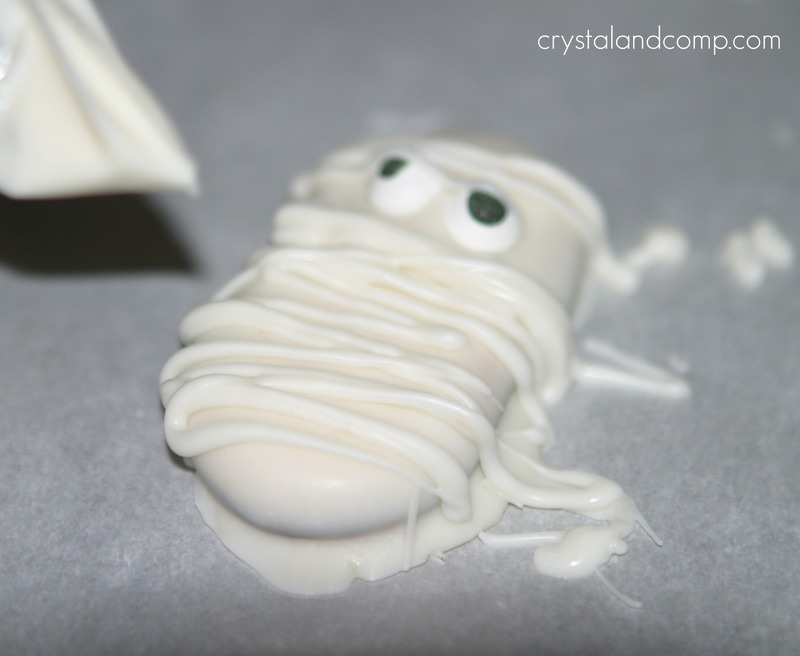 Apply candy eyes while the chocolate is still melted. 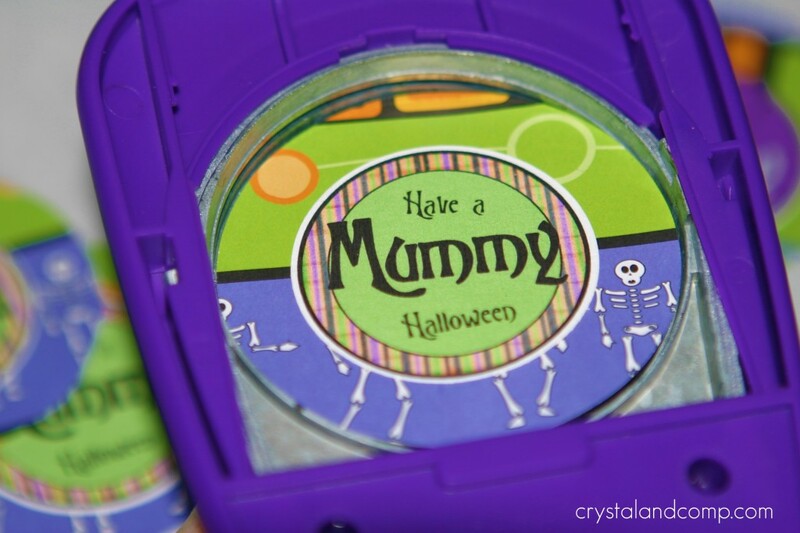 You could also use candy buttons. 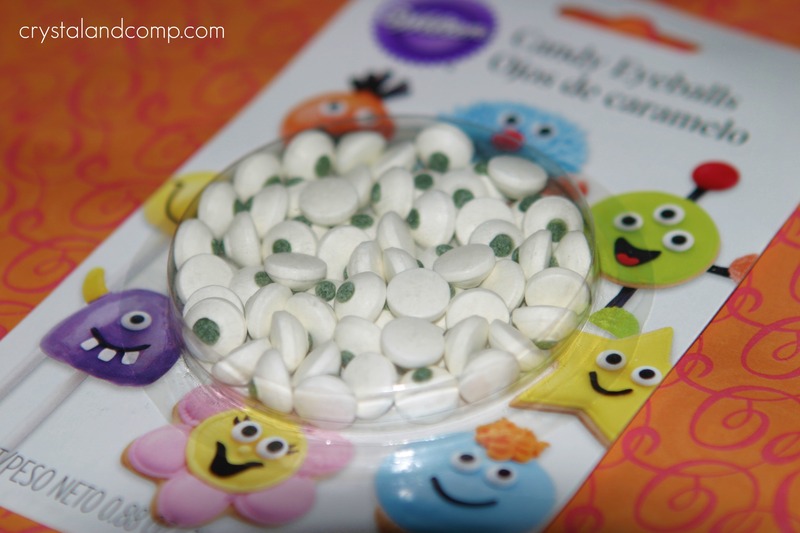 You know, the colored little circles candies that come on a sheet and you can generally get them at the craft store. Now, stick the cookie sheet in the fridge to harden the chocolate. About 30 minutes to an hour. Once the chocolate on the cookies hardens, place some more melted chocolate in a ziplock bag. 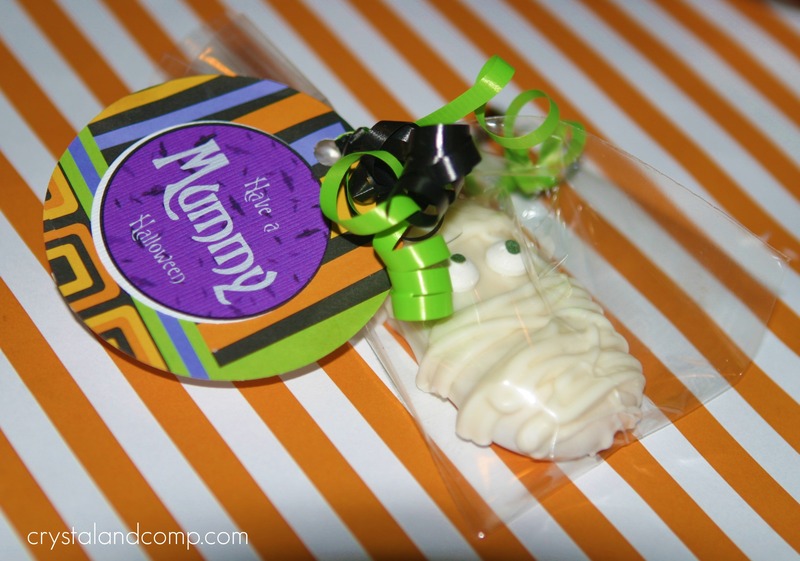 Cut the corner of the bag with scissors to use the bag for piping chocolate onto the cookies. 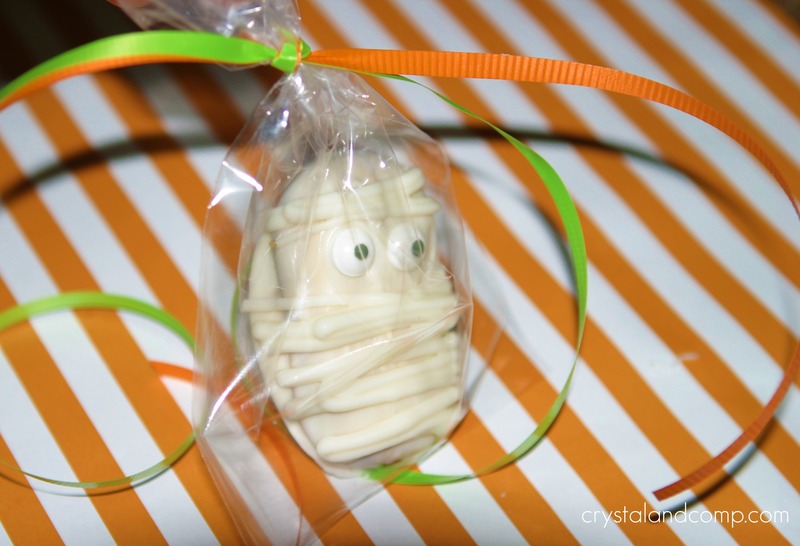 Using a back and forth, left to right motion, apply strips of chocolate onto the cookies to represent a mummy wrapping. Avoid the eye area if at all possible. Pop them back in the fridge to let them cool again- about 30 minutes to an hour. Once all of the chocolate is hardened again take them out of the fridge. Break off any extra chocolate that is hanging over the edges. 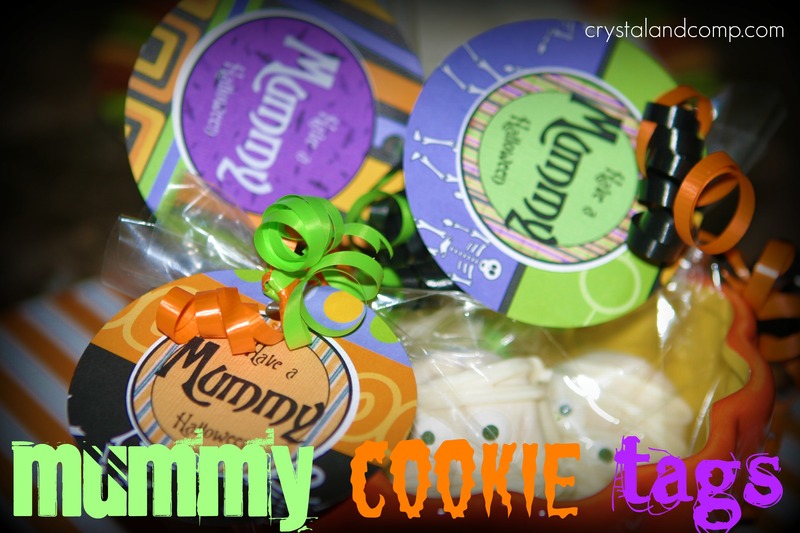 Grab your printable cookie tags that you printed out. 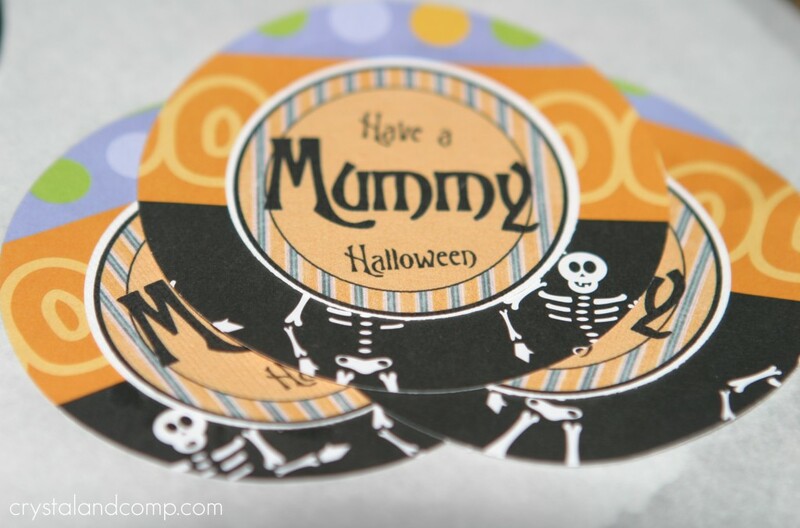 Use a 2 inch circle cutter to cut out the circles. 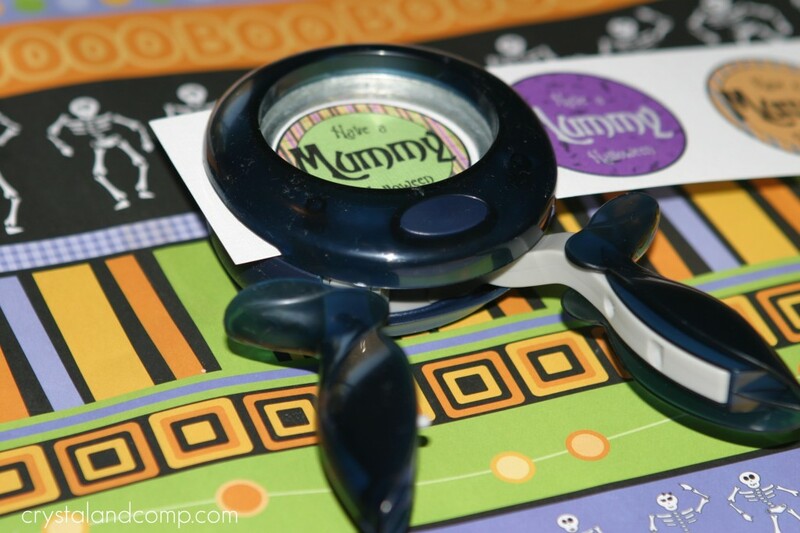 These little tools are really cool and easy to use. I’ve purchased my cutters using half price coupons at the craft store- paying less than $10. This is what they will look like once they are cut out. 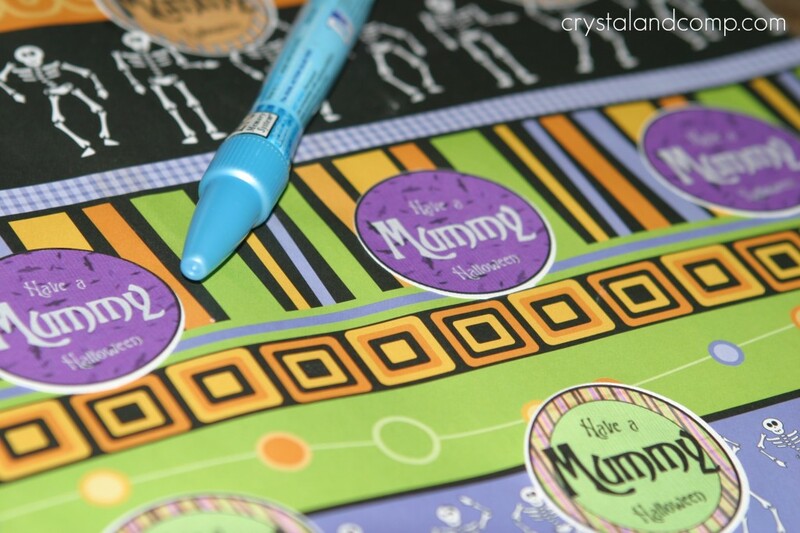 Now, arrange the cut outs on a piece of festive scrapbook paper. Glue them down with a glue pen or craft glue. 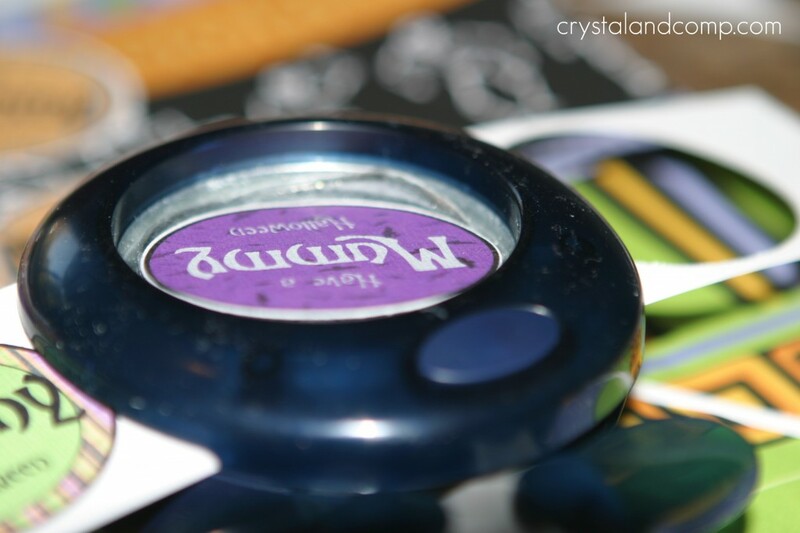 Next, use the 4 inch circle cutter to give your tag a two-tone effect. This is what they will look like now. Use a hole punch to place a hole near the top of each tag. Place one cookie in each of the 4×6 cello bags. Tie some festive colored ribbons around the cello bags. Now, feed the ribbon through the hole you made in the cookie tag. Use some scissors to curl the ribbon. 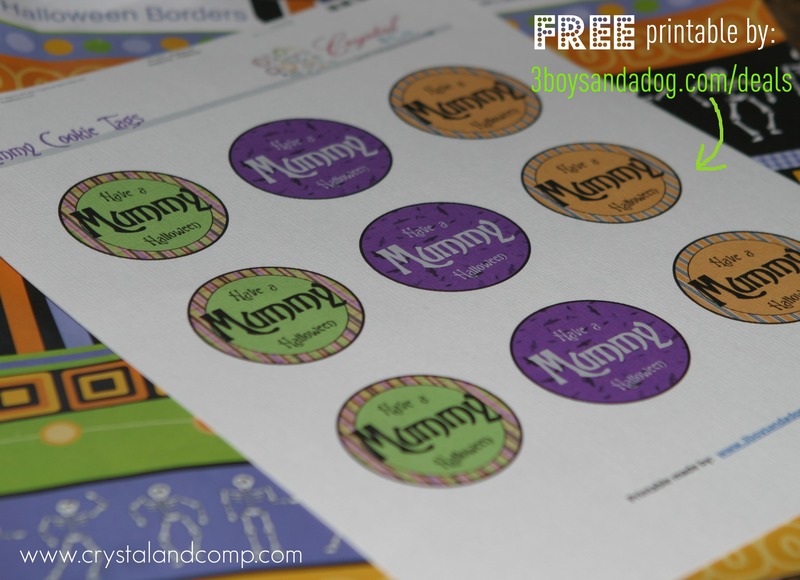 Are you looking for someone to make printables for you? You have to check out my girl Kelli who does awesome design work like the printables she made for this project! 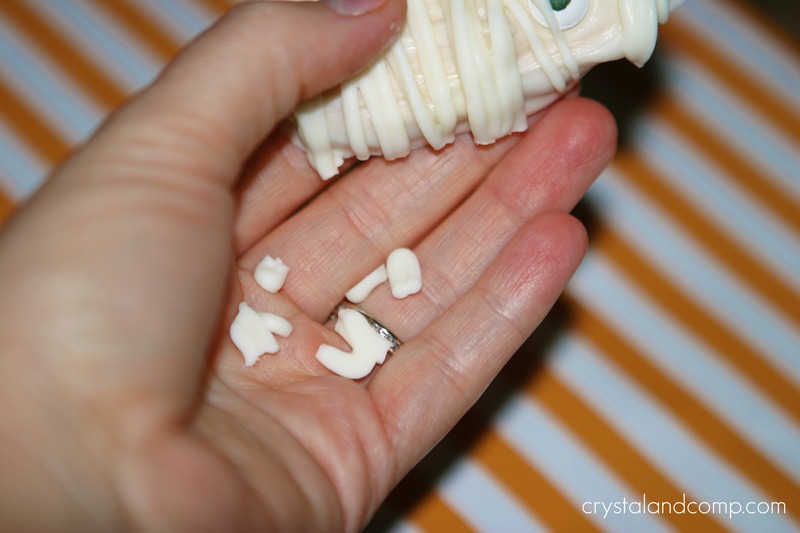 I am sharing this craft on these resourceful sites: i heart naptime, the girl creative, C.R.A.F.T. craftomatic, crafts keep me sane, skip to my lou, making the world cuter, a southern fairytale, sumos sweet stuff, mad in crafts, tip junkie, tasty tuesday, tempt my tummy tuesday, craft edition, hope studios, todays creative blog, sew much ado, someday crafts, we are that family, blue cricket designs, somewhat simple, paisley passions, house of hepworths, fun to craft, fingerprints on the fridge, tidy mom, a few of my favorite things and it’s a hodge podge life. Looking for a more copious list? Here are over 50 sites to search for and share projects and tutorials.